As the world slowly but surely moves into the digital era, the beauty of analog objects has been somewhat lost amongst the tech-driven revolution. With their unique self-publishing tools and carefully crafted books printed to order, Blurb has developed an inspired blend of the two. Enjoy complete control over the design of your book, or buy books from fellow creatives in their bookstore; just make sure to save on the way by using a Blurb voucher when checking out online! 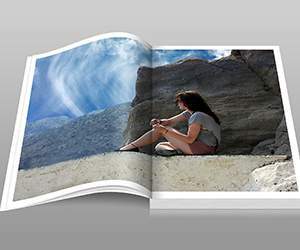 Determined to find a more affordable way of sharing her photography book with the world, Blurb founder Eileen Gittins originally launched her bold idea in 2006. As the world’s first independent self-publishing platform, Blurb offers anyone and everyone the creative freedom to design and print their own book—in just as high quality as a publishing house could offer—no matter what field or budget they are working with. 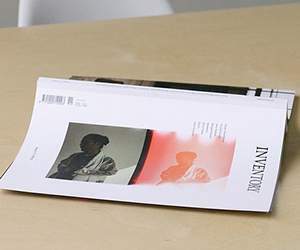 As well as attracting customers, Blurb also inspired a whole cross section of artists, writers, novelists, photographers and designers to question what a book could really become when set free from traditional boundaries. Browsing their online store today, the Blurb community has since uploaded over two million books of every shape, size and kind imaginable—and that number just keeps growing. In recent years Blurb have expanded to offer ebooks, as well as direct distribution of any book shared to their servers via Amazon. Not only does this give customers the chance to realise their ambitions of becoming a published book-maker, but they can even use a free Blurb promo code or voucher code to help bring that dream just a little bit closer! Blurb was awarded a place in the ‘50 Coolest Websites’ list of 2006 by Time Magazine. Drop by our website to pick up your Blurb promo code, and then head on over to the Blurb homepage to get started. Join the Blurb community by creating your free user account and then download whichever of their user-friendly software options best fits to your project, or use another of your own choosing. Follow the simple on-screen instructions to begin creating your book and/or ebook. Design your project using Blurb’s professionally-designed layouts or even make your own! Once you are ready to go, publish your book to Blurb by uploading it to their servers and select the option to order a printed copy, you will then be guided through the checkout process. Simply apply your Blurb discount code towards the payment of your newly created book, or even to buy other books published in the Blurb bookstore. Once you reach the “Payment Options” section during checkout enter your Blurb promo code along with your personal details to complete the order. Receive your brand new book—lovingly printed to order by Blurb—enjoy your saving, a precious keepsake, or maybe the start of a new career! When you see how easy it is to make great savings with a Blurb coupon there’s no better time to let your creativity flow free. Before you flick over the page to the Blurb website, remember to pick up a Blurb voucher code from us on the way! Another great way to get your creative juices flowing is to visit the Blurb YouTube channel. Featuring a wide variety of videos they have collected a number of inspiring interviews with fellow creatives who share their Blurb experiences, previews of brand new books that are due to be printed soon, and much much more. As you can see there’s no easier way to present your unique ideas to the world in a beautiful book-bound format. So to take advantage of great prices on self-publishing be sure to visit Blurb today. Just don’t forget to pick up a free Blurb discount code from us to make an extra saving! After signing up to join the Blurb community with a free user account, simply take advantage of Blurb’s free downloadable software, or use another option of your choice to get started with creating your very own book and/or ebook. Once you are happy with your project and ready to print, start by uploading your finished book to Blurb and then select the option to order a printed copy. Don’t worry, if you are buying another person’s book from the Blurb bookstore instead of printing your own the ordering process is very similar. Proceed to the checkout and be sure to fill out all of the required personal, payment and delivery information and then proceed. It’s possible to apply your Blurb discount code towards the payment of your newly created book, or even to buy other books in the Blurb bookstore. Once you reach the “Payment Options” section during checkout enter your Blurb promo code and enter your personal details to complete the order. 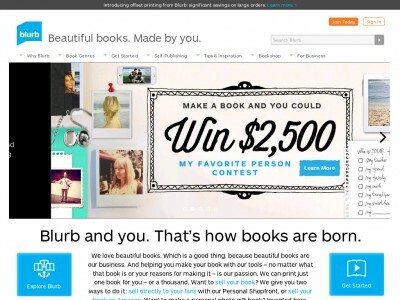 Receive your lovingly-printed book from Blurb and share your creation with family and friends! As you can see, having complete control over how your book is published offers freedom and flexibility like never before, so what are you waiting for? Head over to the Blurb website to get started. Just be sure to grab your free Blurb discount code before you start designing! You can easily calculate this using their unique Shipping Calculator tool. Most Blurb books arrive within 7 to 11 working days, and are shipped out within 5 days of your order date. They offer generous discounts on volume orders too! If you need to cancel your Blurb order for any reason, you can do so within one hour from the time of purchase. Simply Log In and follow the online instructions in the “My Account” section, or contact Blurb Customer Support to inform them that you have changed your mind. After that, please note that Blurb will not accept returns of any self-published or purchased books unless your Blurb book arrives damaged, with some manufacturing error, or the workmanship seems less complete than your expectations. In which case, contact Customer Support to discuss your refund options. Don’t forget to check back often, as you can never be sure when a free Blurb coupon might be waiting for you! Buy now online at www.blurb.co.uk . If you’re an inspiring writer looking for a great way to get your book out that, than you should definetely give Blurb.co.uk a visit. Not only will you find all the tools you need to present your book to the world, but you can also use a Blurb discount code or a Blurb coupon to do it at a reduced cost. A Blurb voucher can reduce the price of your entire order, and allows you to take advantage of the services that Blurb offers for the lowest price possible. Don’t forget to use yours the next time you visit Blurb!